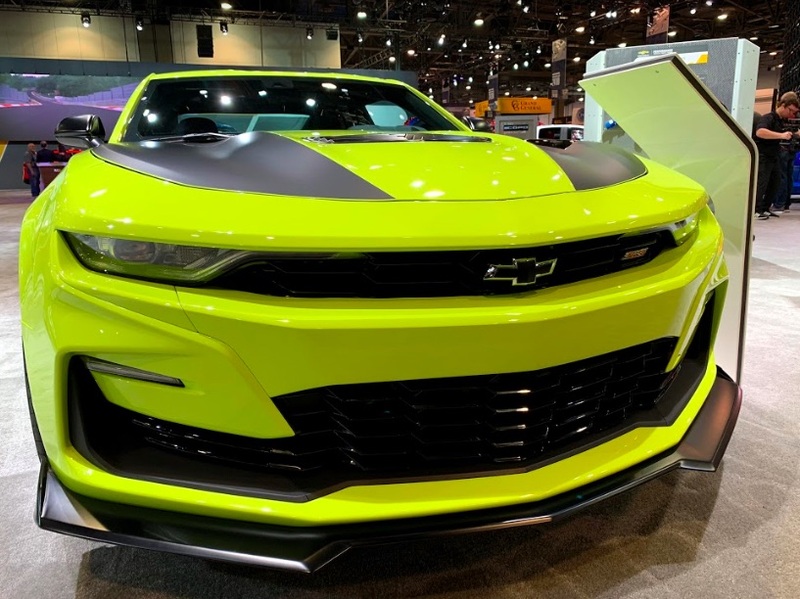 The 2018 SEMA Show is in full swing at the Las Vegas Convention Center, and there’s something peculiar we want to point out: every single 2019 Camaro SS at the Chevrolet display has what’s been officially called a “concept” fascia design. The original look that debuted in springtime of this year is apparently nowhere to be found, save for a couple of tuning companies who got their hands on early builds. This is important because we have received word that GM is working on getting this revised fascia design to market as soon as possible. 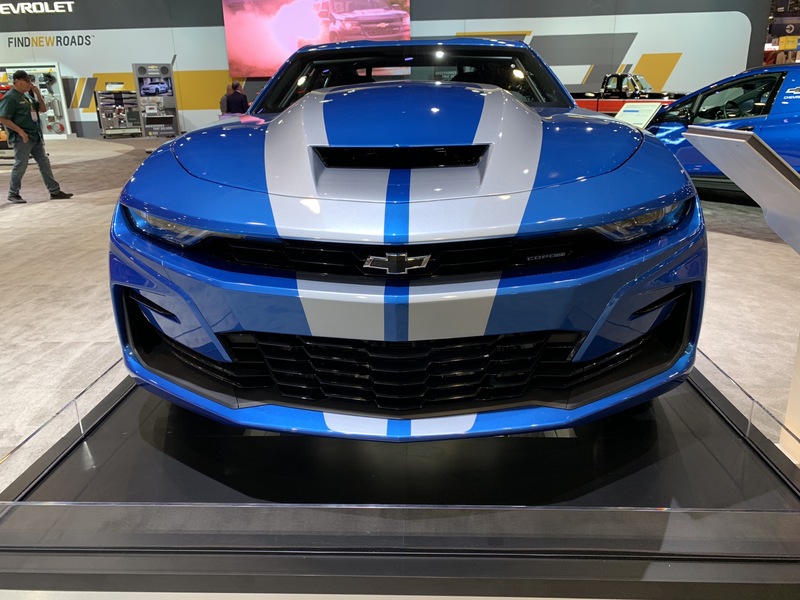 The fact that there are no 2019 Camaro SS models on display with the original fascia further galvanizes what we’ve heard. 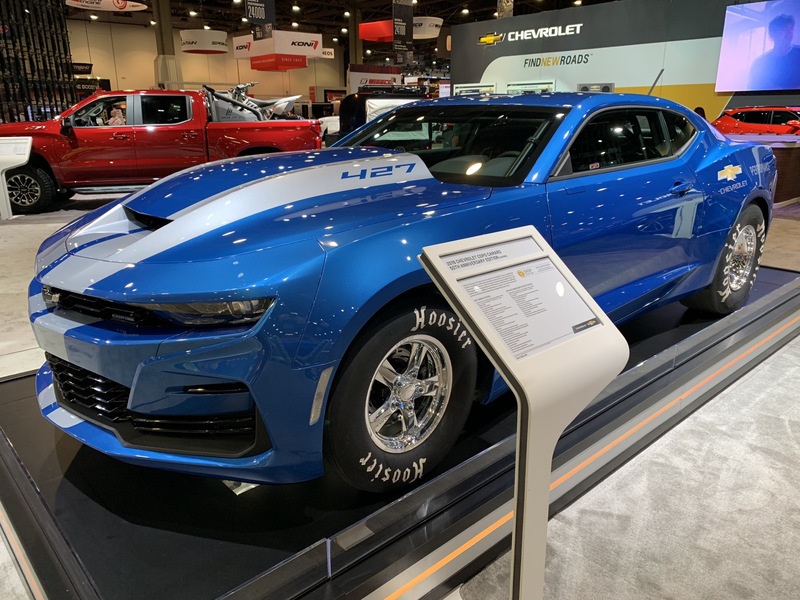 Even the new 2019 COPO Camaro and eCOPO Camaro Concept feature the emergency refreshed look. 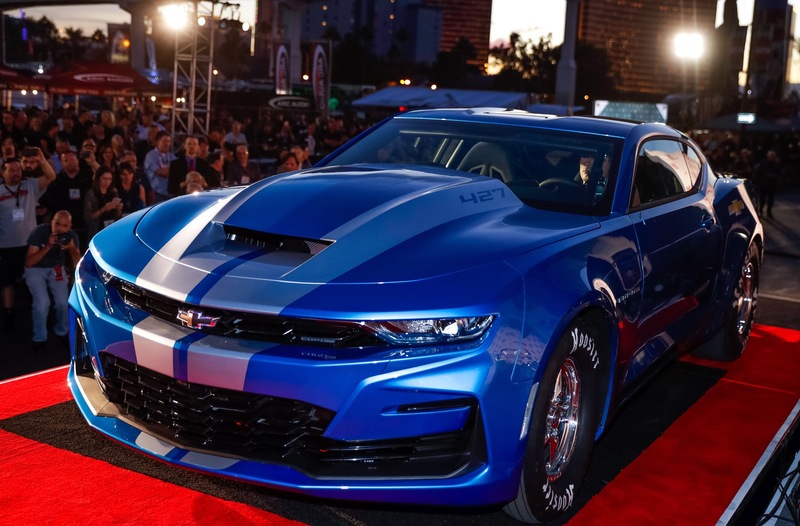 Pictured above is the 2019 Camaro SS Drag Concept. 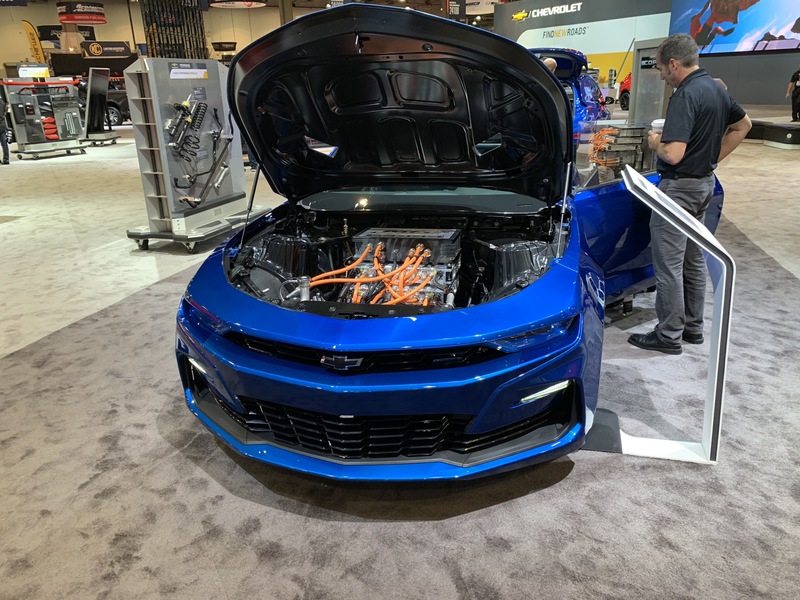 Also on the Chevrolet SEMA floor was the 2019 Camaro SS Shock Concept with the revised look. 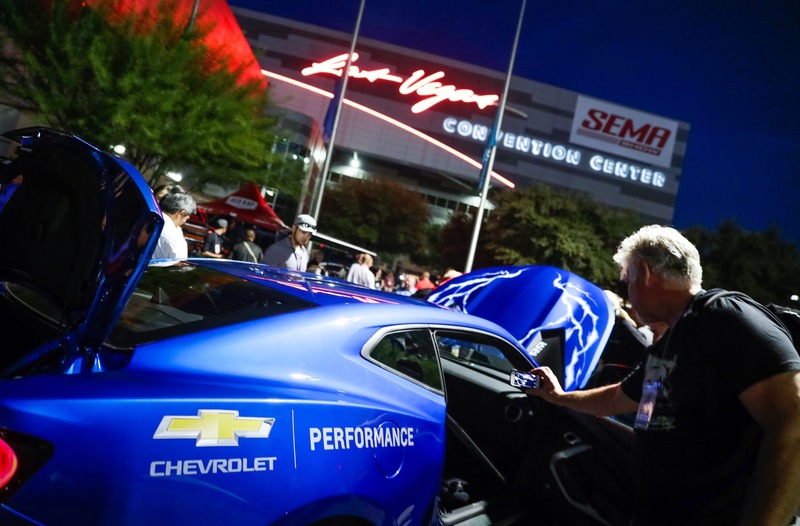 Chevrolet could be doing a combination of things at SEMA when it comes to the 2019 Camaro SS refresh. The gesture could be taken as an outright admission that the original design has been received negatively by customers, and are hoping to regain favor with this update. Or Chevrolet could simply be looking to gauge interest in this “concept” front clip, while keeping the original design at home. 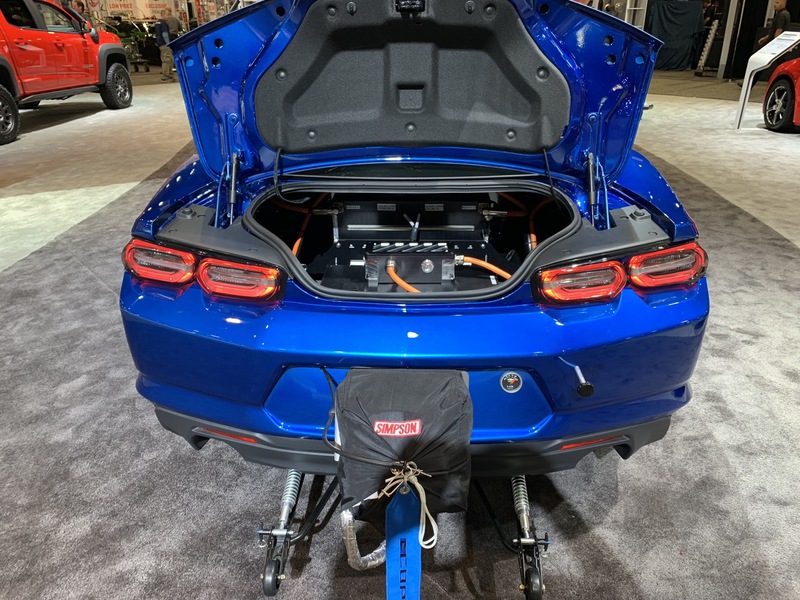 The 2019 Camaro SS Shock Concept, up close. 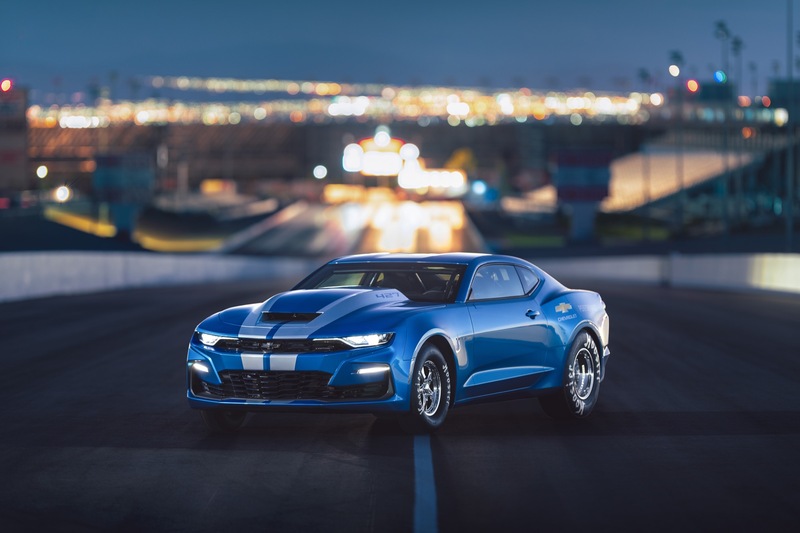 The Camaro is currently Chevrolet’s most affordable sports car, slotting below the Chevrolet Corvette. The current model was introduced for the 2016 model year and represents the sixth generation of the Camaro nameplate. The model rides on the GM Alpha platform shared with the Cadillac ATS and Cadillac CTS, though the majority of the architecture underpinning the Camaro are unique to it. 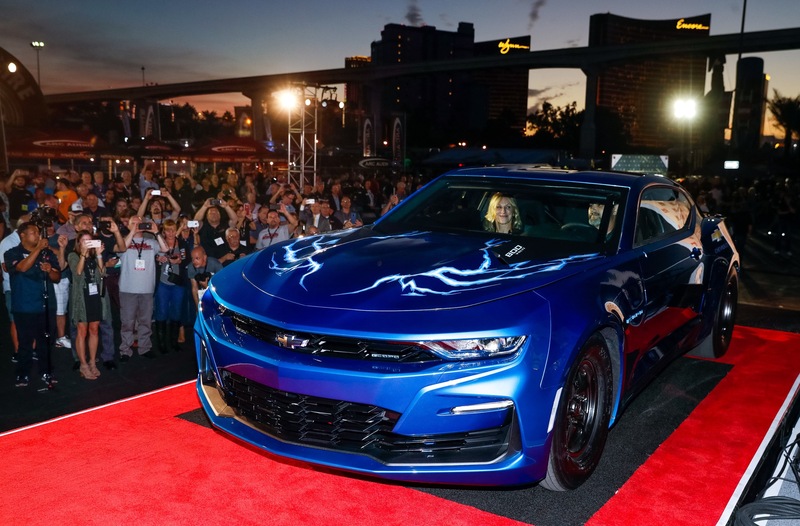 The 2018 Chevy Camaro represents the third model year of the sixth-gen Camaro that deleted the Camaro 50th Anniversary Edition and the Krypton Green exterior color, while adding the ZL1 1LE Extreme Track Performance Package. 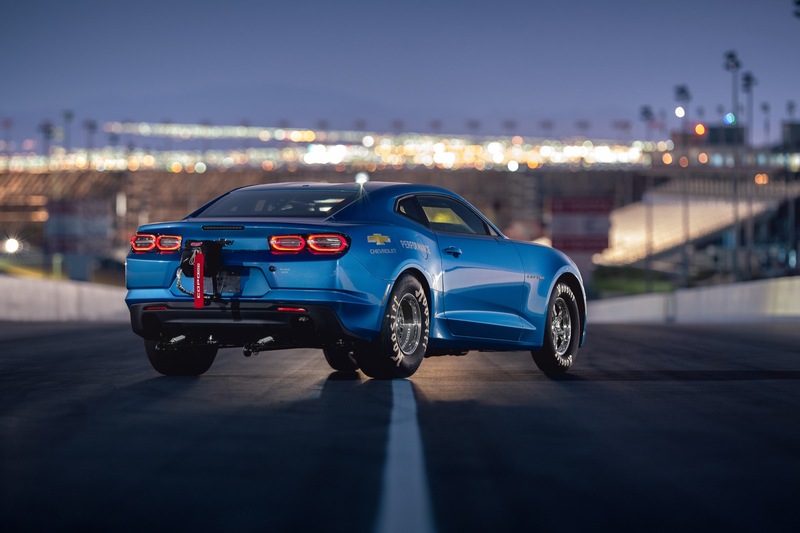 There’s also an expanded availability of the SS 1LE Track Performance Package, which is now available on the 2SS Coupe, as well as the addition of a washer fluid level sensor. I really don’t care for this front fascia at all, especially when the 2018 ZL1 is the best looking Camaro, probably ever! I saw one the other day parked near me and it looked ok in person. It was black though and at least it didn’t have a plain look to it like the gen 3 & 4. The relocation of the “Bow-Tie” and body color bumper cover on the others does help, but I think I would either buy used or wait and see on the gen 7! My 2000 SS-T56 with SLP/BMR suspension was a blast to drive! With all the big hoopla about the front end and GM saying they are coming out with a new front end they better put this into production instead of making it a LPO. People will not but into it. Why should the potential new buyer have to pay for GM’s mistake. Buying a car is a voluntary purchase, those who bought the AMC Pacer CHOSE to buy it! Except this time NEW coke is the ONLY option. Any way we get the front end of the Next Gen SIlverado changed? Doesn’t need one. The 2019 Silverado looks great aside from missing the squared off wheel well openings. The Sierra is the one that needs work. GM’s design seems to have a problem getting it right the first time. Constantly having to change styling cost money. Perhaps it time to change the designers instead. Get the styling right the first time and use the redesign money to make improvements elsewhere. I think their latest GM SUV’s look great. 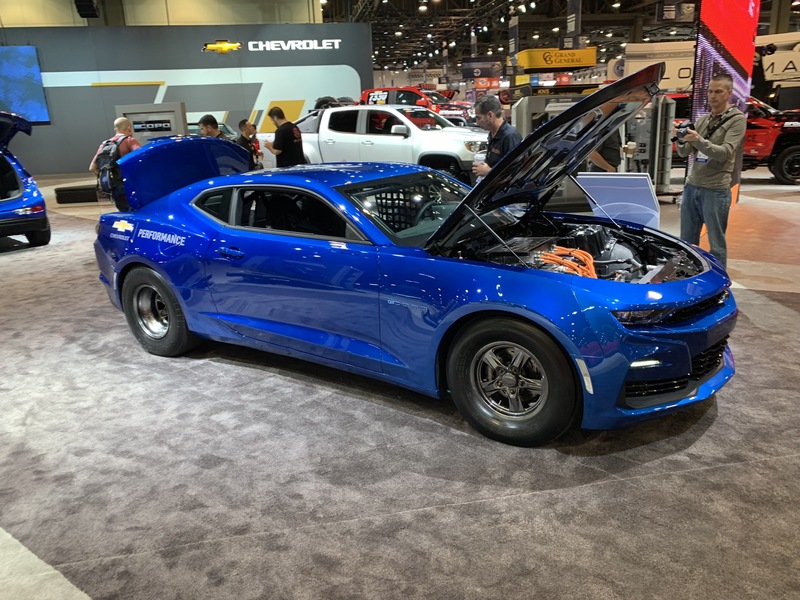 The 2019 Camaro, new ZR1, and 2014-19 GMC Sierra are the most glaring examples of their questionable styling designs. The updated SS fascia is just as ugly as the first. Seems to me they have trouble designing a good looking car. is the new fascia(the 2 daggers) purely cosmetic or is there an aerodynamic function? This change is probably why it is next to impossible to find a 19 SS on the lot. Lots of LS and LT’s, but the SS’s are few and far between. Make it quick Chevy. It’s the same facia without the center section painted ugly black. Yeah, like a quick repaint will fix the problem. Still ugly. No, they did not change the ZL1’s nose. So the only noticeable change on the Monster Cup car will be the taillight stickers. But the Nationwide Cup car which is based on the SS that is a different story. GM talks about concept fascia on the 2019 Camaro,it wasn’t broke so don’t screw it up but it will be !! WHERES OLD RELIABLE , THE Z28?!! The changes to the front make a HUGE difference. This design is at least acceptable to me. I like the previous design better but I could live with this. I hope this is a 1/2 year change if it doesn’t get changed immediately. Now that just looks weird.